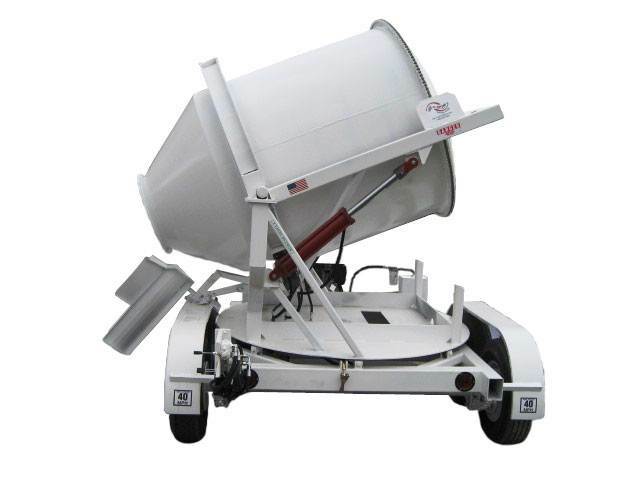 The 2DH-S portable swivel concrete mixer mixes 2 cubic yards of concrete in 15 minutes. 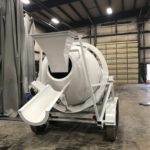 The self mixing drum holds 2 yards (54 cu ft) while in transit and mixes 6 yards an hour. 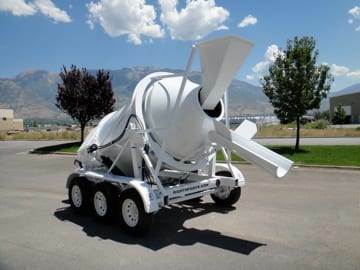 This mobile concrete mixer can be towed into very remote job sites where a concrete mixer truck cannot go. 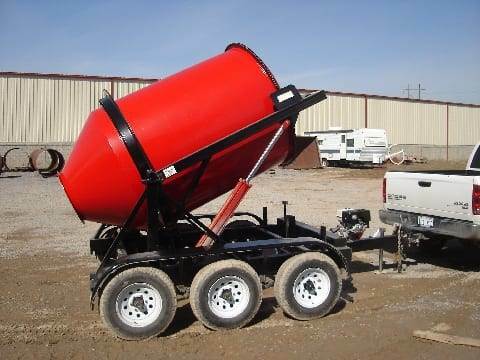 The unique swiveling concrete mixer drum conveniently pours exactly where you need it. 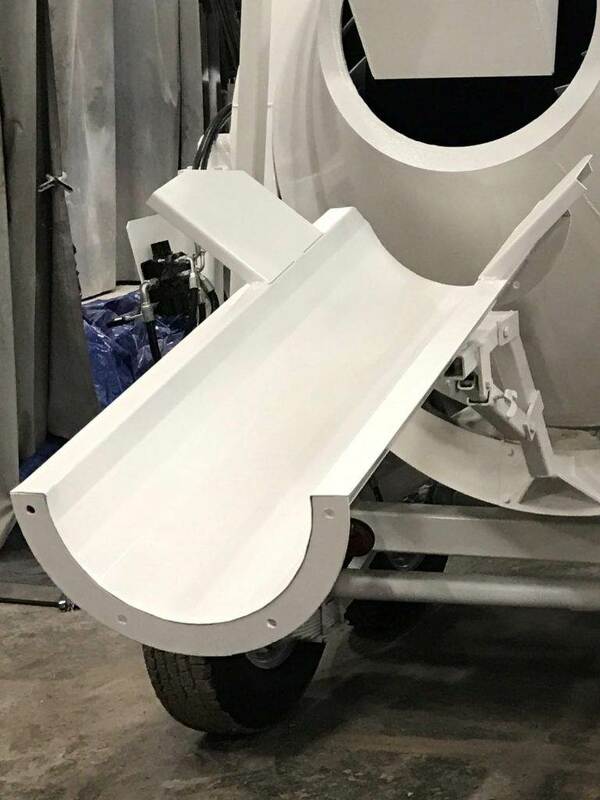 The lightweight discharge chute allows for even more control and can be installed at a moment’s notice. 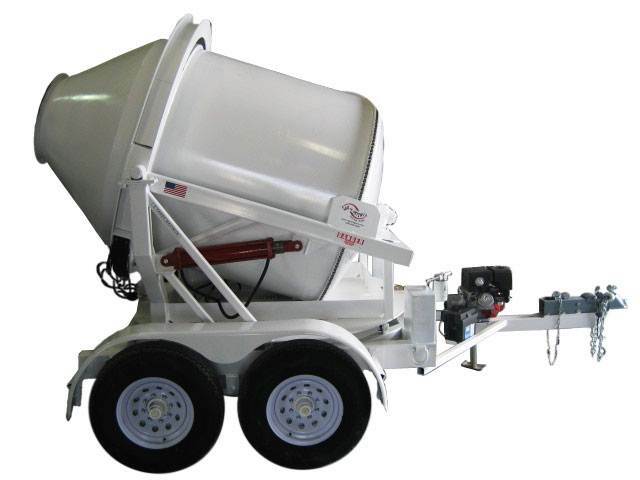 The 2DH-S portable swivel concrete mixer operates just like the 2DH portable concrete mixer except for the swiveling drum. 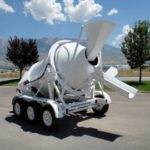 The 2CL portable concrete batch plant is designed to load the 2DH mixer. 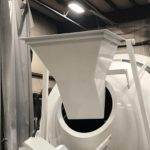 The rotating drum design provides a superior finished product compared to volumetric mixer designs. 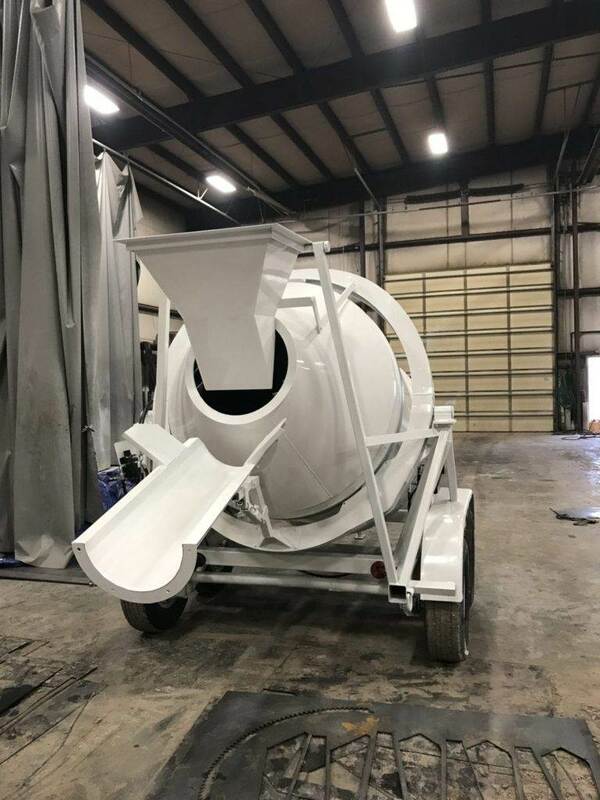 The mixer drum swivels 90 degrees to the right or left, like the 2DH-CL portable concrete mixer and batch plant, for precise and easy discharge. 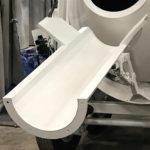 The drum’s innovative fin design will mix and discharge equally well in either direction. 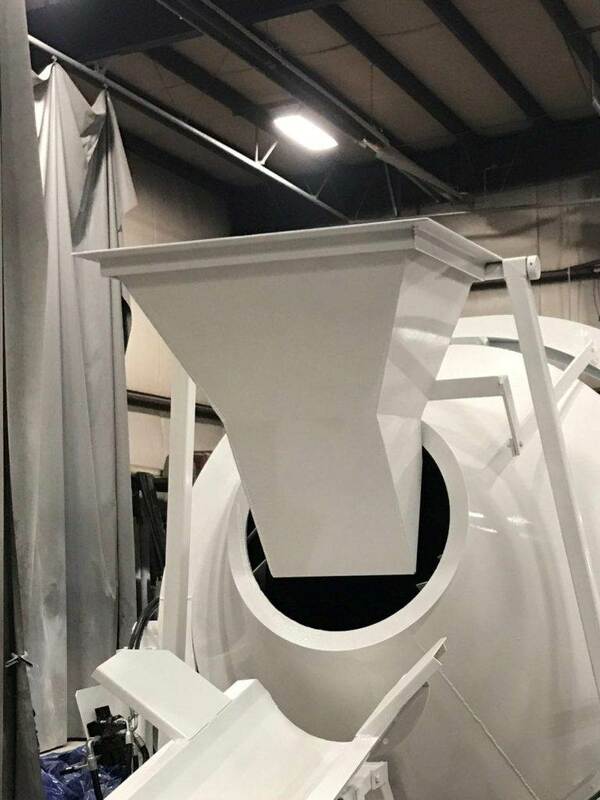 The drum can withstand years of abuse due to its rugged cap and cylinder construction and strategically placed drive bearing supports. The drum is easy to wash out. The bearings are also easy to replace due to quick mount technology. 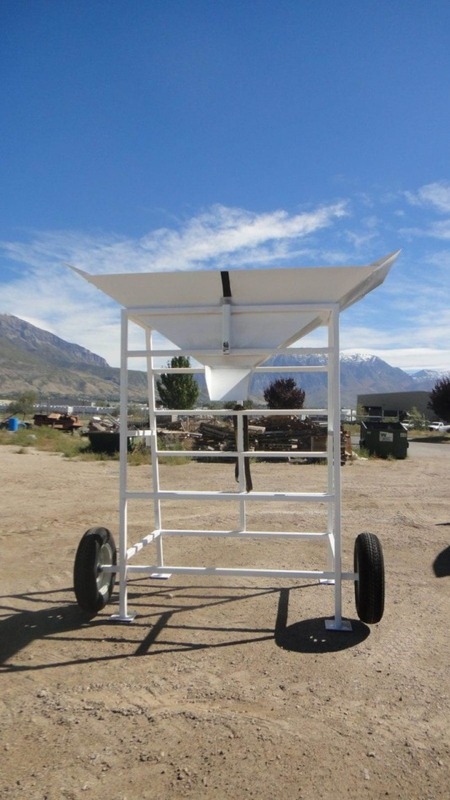 The lightweight discharge chute enables the 2DH-S to easily discharge while moving straight or pouring in tight places. It can be stored on either side or the back. 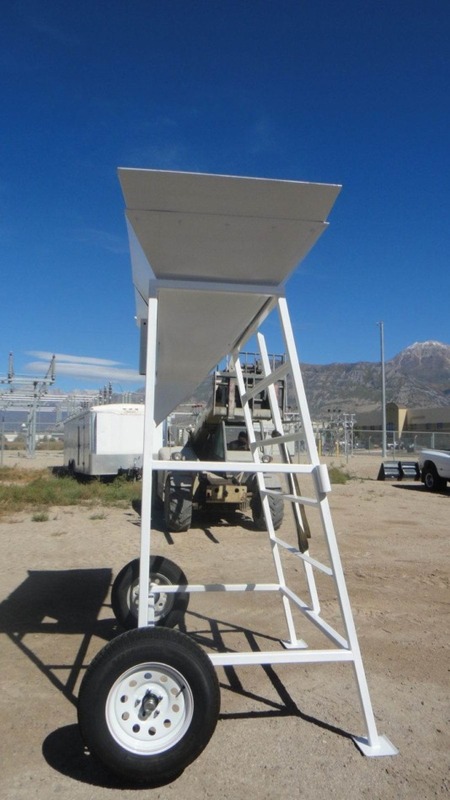 The lightweight chute enables the 2DH-S to easily receive the aggregate, sand, cement, & water. A super sac can empty into the chute or manual. All models are painted white. Other paint schemes are additional. 25 or 50 gallon water tanks w/a wand and pump are an option. Choose the motor that will work best within your operation. The standard gasoline motor is 13 hp. This electric start motor is durable and reliable, and will serve you well day after day. 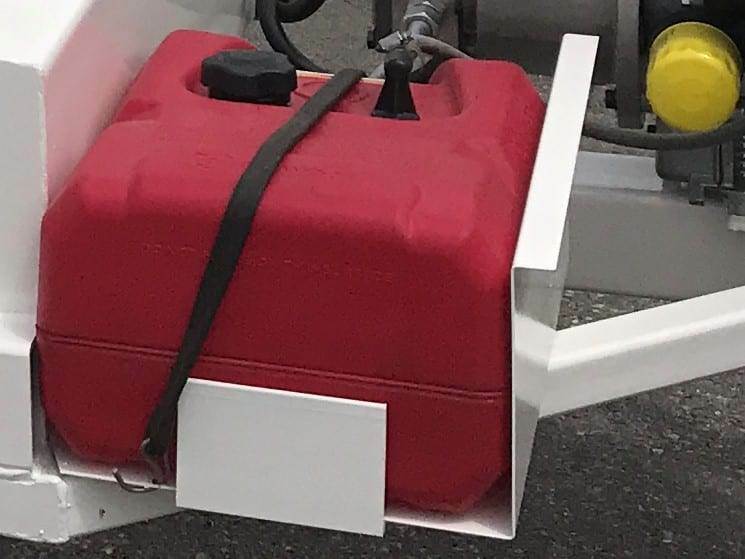 A 25 hp gasoline motor is optional. A 10 hp diesel motor is optional. This motor gets better fuel economy than the gasoline motor, and is convenient in most yards and quarries where diesel fuel is usually more readily accessible. A 25 hp diesel motor is optional. A 7.5 hp electric motor with panel is optional. It is the most reliable and efficient motor system. The system requires a minimum of 220 single phase power. Because power requirements vary by customer the electrical panel is built to your power requirements. A combination electric and gasoline, or diesel, motor system allows for more versatility, and ensures the use of the most efficient power source available.